For over 15 years, Dreamcoat Flooring has been providing the Phoenix metro area with high quality epoxy flooring , stained concrete and metallic flooring for commercial kitchens and restaurant flooring. These highly durable coatings offer a multitude of benefits with a variety of flexible customization options allowing you to showcase your business style and image. With the right commercial restaurant kitchen flooring your can increase the pride your employees have in their workplace, as well as, increase customer perceptions and potentially increase property values. Here at Dreamcoat Flooring, our contractors are fully licensed, insured and bonded in Arizona. We take great pride in the quality of our workmanship, which, over the years, has earned us a 5 star customer rating. Dreamcoat Flooring is committed to providing you with the most competitively priced options with unparalleled customer service for your commercial or industrial kitchen flooring needs. 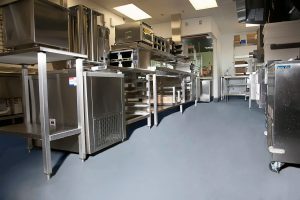 As if the personalization options weren’t enough to convince you that epoxy flooring coatings is one of the best flooring applications for restaurant kitchens, you should consider the additional benefits of continuous protection against cracking, oil, chemicals and moisture, as well as, providing years of durability. Concrete has long been used in commercial buildings simply due to it’s strong, durable and affordable qualities. We can transform your dull, boring concrete floors into a beautiful work of artistic concrete flooring with special staining (also called acid – staining) application techniques. 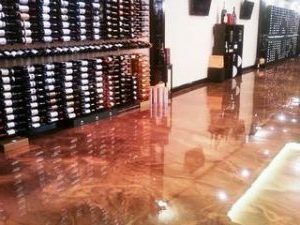 Customization options for stained concrete in your commercial or industrial kitchen flooring will be done by our experienced design and installation team. We are happy to personally visit your and survey your specific flooring needs and discuss with you the best coatings and alternative flooring options that will fit both your style and budget Contact us today for your 100%, absolutely free personal quote for your commercial restaurant kitchen flooring solutions. Of course, your personalized quote comes with no obligation whatsoever. See what Dreamcoat Flooring can do for you and your new commercial restaurant kitchen flooring. Our concrete flooring contractor specialist is standing by! 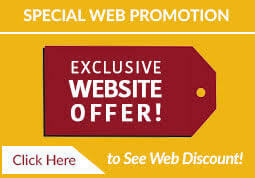 To get started, please call: 480-226-4172, or use our online request for a free quote today!